There are billion of Android phone users around the world. The Android phone are most important need for us. You can easily communicate, send or received text, audio, video messages to each other and many more. But sometime your phone. Hanging problem is the bigger problem with Android phone. 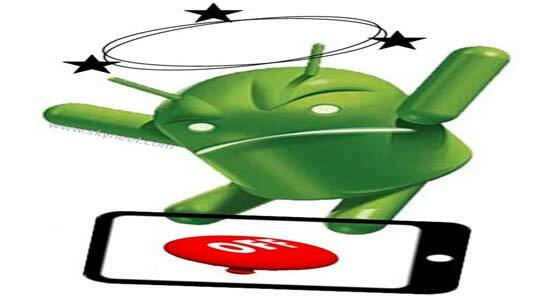 In this guide we’ll discuss top best reasons why Android phone hang and what is the solutions to overcome this problem. There are lot of advantage and disadvantage to using latest technology Android phone. Without Android phone, most of the important works are pending. You are not able to communicate to each other without the Android phone. Hanging or freezing problem is a big disadvantage with these Android phone. If your Android phone hang lot of time then you are not able to do your important calls and other job. Hanging problem is the biggest problem in most of the Android phone. It’s very difficult time when you face this type of situation. There are many reason due to which your phone is hang. Today we talk about the top best reasons why Android phone hang. Most of the person are careless with his phone. If you don’t take proper care then you have to face this type of problem many time. Let’s start reasons and solutions to hanging problem of your Android phone. It is one of the big reasons due to which your Android phone is hang. When you start update process on different apps on your phone need latest operating system. If you have old technology Android phone, during update your apps will affect your old phone operating system. If you have latest technology phone with fast process and good ram then you have to start update your application. You can also update only those apps which are used too much while rest of the apps which you no longer used don’t need to update. All those users who are surfing the Internet too much on his Android phone also facing hanging problem. During using the Internet when you search any thing on the Internet all detail stored in the temporary memory on your phone. After sometime temporary memory take lot of space on your phone and your phone will go slow down. After sometime you have to face hanging problem on your Android device. You must have to clear cache memory from your Android phone in a regular interval. It will delete all those junk files who are taking lot of space on your device. Most of the person doesn’t like to use Antivirus on his phone. Due to which they have to face hanging problem on his phone. If you have updated version of Antivirus then all harmful virus are deducted and clean automatically. Antivirus does not lets you to open any harmful website or download any harmful apps on your phone. If you don’t have any Antivirus on your phone then you have to face phone hanging problem too much. So, it is the best reasons why Android phone hang and if you install any latest Antivirus on your phone then your phone will be safe. There are lot of third party apps available which are infected with virus or taking lot of space. There is no need to use these type of third party apps on your Android phone. If you try to install these unsecured third party apps then you have to face lot of problem on your phone. These apps corrupt your phone operating systems also. So, if you want to keep safe your phone then you have to use only those third party apps which are available on official website. Internal memory is the default storage for your apps. When you install or update any apps or software they directly stored on the internal memory of your phone. After sometime internal memory of your phone is full with all the downloads and apps. When there is little bit space on internal memory of your phone, hanging problem will be started. At this time you must have to transfer or move all those apps and other data to your SD card. When you phone has sufficient space on internal memory the hanging problem will be resolved. So, always remembers you must have to move apps or data from internal memory to the SD card. There are many Android phone users do not ever off or restart his phone. When you regular use your phone then hanging problem will be started. Most of the time lot of apps are not closed properly. Few apps are running in the background and consume lot of power due to which Android phone is hang. If you want to overcome this type of situation then you must have to turnoff or restart your Android phone. You must have to turnoff or restart your Android phone. Most of the apps consume lot of phone battery. If you don’t have good battery in your phone then your phone will be switched off very soon. If you maintain average battery level then your phone is working properly. So, try to recharge your phone battery as per the requirement. I hop after reading best reasons why Android phone hang article your problem is resolved. After follow all given reason and solution hanging problem of your phone is no more. If you have any suggestion regarding this article please write us in the comment box. Thanks to all.